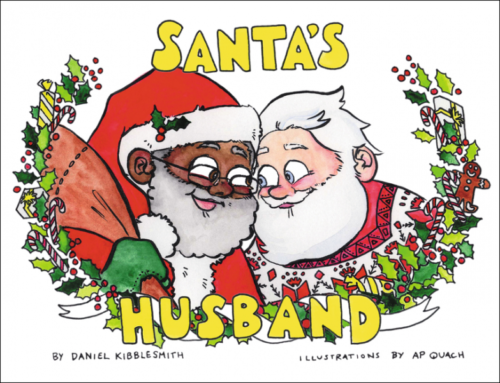 In the latest example of the ‘war on Christmas,’ author Daniel Kibblesmith, who is Jewish, has written a children’s book about a gay black Santa and his gay white husband. Yes, a man who does not even celebrate Christmas felt the need to insert his poisonous Liberal beliefs into a holiday he ignores. Ironically, when asked about the “inspiration” for the book, although we can hardly call this trashy effort “inspired,” he said it was in answer to what he calls the “fake war on Christmas.” So, let’s try to understand this; in order to fight those who claim there’s a war on Christmas and on its meanings and traditions, he put out a book that attacks those meanings and traditions. 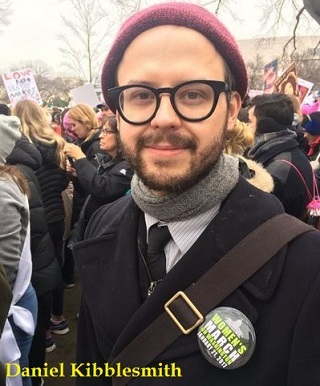 Indeed there is a war on Christmas and Daniel Kibblesmith is just another foot soldier on the battlefield, trying to twist and poison the wonderful things about the season. Okay, let’s be clear here Mr. Kibblesmith. Santa has no race. He comes from many cultural traditions around the world. It started with a real person, St. Nicholas, whose skin tone is unknown since we have no photographs and then as the legend took hold, and it became interwoven throughout many nations, it resulted in Santas of every race. If you don’t like the fact that the original man’s appearance is unknown, that’s too bad. Sorry that facts are getting in your way. That being said, Santa can be played by anyone now, and is. People of every race can get hired to be a mall Santa and they do. Also, Santa, the legend that we all know and love, IS NOT GAY. No matter how much you wish he was, he isn’t. Mrs. Santa can attest to this fact. As can the elves and reindeer. So, take your strange desire to deform the beautiful and fun myth of Santa and go have some hot cocoa. You are obviously in need of some Christmas cheer. And by the way, your book does not belong in Christmas displays. It doesn’t even belong in humor. It belongs in the fireplace on a cold winter’s evening, burning to a pile of ashes. How about you stick to women’s marches and writing unfunny jokes for Colbert, and leave Christmas alone. There’s nothing Christmas-ey about depravity. Everything about this “children’s book” is wrong. Mr. Kibblesmith, you have put a net negative into the world. You have written a disgusting book aimed at gullible and vulnerable children, which denigrates centuries of Christmas traditions and uses homosexuals as political pawns. Oh, and it shouldn’t surprise anyone that Kibblesmith is a writer for The Late Show with Stephen Colbert. Yeah, same foolishness, different day.